In the notice that was later pulled down from its website, the Principal Controller of Defence Accounts said it cannot pay advances and claims to officers as there were insufficient funds. New Delhi: Does the Defence Ministry have no funds to pay the Army for transportation of officers who have been transferred or have been sent on temporary duty? It seems so,going by a notice published on the website of the Principal Controller of Defence Accounts (PCDA), says a report published in theTribunenewspaper. Incidentally, the notice was pulled down from the websiteearlyTuesday. According to the report, the notice made it clearno advances and claims can be processed till further receipt of funds spurring criticism.The Congress took to Twitter and lambasted the Narendra Modi government for the fund shortage. “To help a bankrupt friend get rich, BJP government denied the Air Force the number of jets they sought. To seek political benefit from surgical strikes they asked how’s the josh? Look how they have cheated our army too,” Congress spokesperson Priyanka Chaturvedi . Following the report, the Defence Ministry spokesperson sprang into action for damage control, terming the news report as “baseless”. According to theTribunereport, the funds crunch, even if “temporary” could affect Army operations as a “huge body of troops move” during military exercises, and its costs about Rs 4,000 crore a year to pay for their transportation and allowances, as also for training courses and exercises. “Sources said an additional sum of Rs 800 crore has been sanctioned, which may help tide over some of this difficulty for now. There are nearly 40,000 Army officers. With tenures being just two-three years at one station, postings are a frequent reality. Also, during military exercises — conducted every year — a huge body of troops moves,”said the report. Citing sources, the report also claimed that several defence infrastructure projects has been stalled or were moving slowly due to the funds crunch. “The then Engineer-in-Chief branch in the Military Engineering Services (MES) accepted “fund crunch” and issued instructions that at all ongoing works where payments were held up due to “fund crunch”, the work shall be put under “suspension”. The budget for infrastructure works this year is Rs 2,300 crore, of which Rs 1,850 crore had been spent by October. Some of the outstanding payment due for projects has rolled over from the previous year that ended on March 31. The work on perimeter walls around military stations in northern India (for security to prevent terror attacks) has been stopped, while making additional ammunition storage dumps or IAF works like hangars and runways have been held up or are moving slowly for want of funds,” the report claimed. 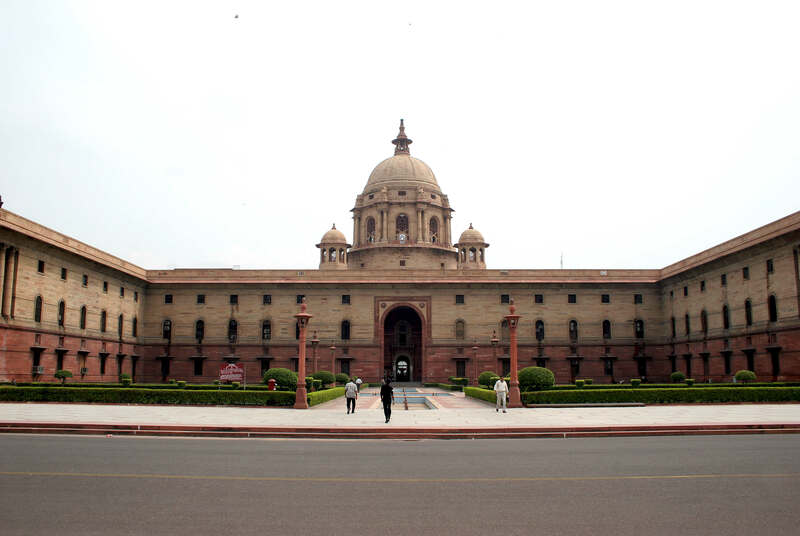 Recall that in the recent interim budget presented by the interim Finance Minister Piyush Goyal, the budget had said that thedefence budgethad crossed Rs 3 lakh crore, while announcing a 10% hike in the budget for the sector. Will India become the first country to go to war because of the jingoistic frenzy whipped up by the television channels and social media?